Well, the cast for It: Chapter 2 is really starting to fill out now. After the initial news that Jessica Chastain would step into the role of Beverly Marsh, the pieces started to come together. James McAvoy and Bill Hader, long rumored and reported to be in talks for the roles of Bill and Richie, are now officially confirmed, according to the latest reports. Yesterday also brought the news that James Ransone, best known for TV and film roles including The Wire and Tangerine, will likely be playing the adult Eddie, although the actor curiously deleted the tweet in which he initially announced this. 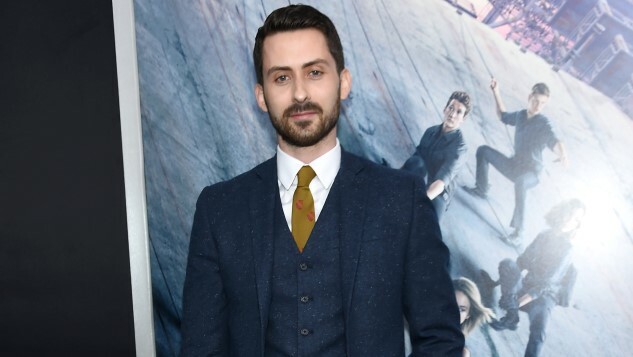 Now, we have one more potential member of the Lucky 7: Andy Bean, who would be portraying the adult Stanley Uris, portrayed in the first film by Wyatt Oleff. Bean has appeared in the likes of HBO’s Here and Now, Power on Starz and the film Allegiant, but is a lower profile actor than the likes of Chastain or Mcavoy, which honestly makes sense for the role of Stan. Readers of Stephen King’s classic novel of childhood terror will know that of all the members of the Loser’s Club, it’s Stan who struggles the most in the years that follow the initial incident, in terms of coming to terms with what happened. Of all the group members, Stan is the most prone to insisting that everything happening “isn’t real,” which also makes him uniquely vulnerable to the ploys of Pennywise. We’ll just have to see how things play out for him in Chapter 2. The sequel to last year’s massively successful horror hit, which grossed more than $700 million worldwide, will see director Andy Muschietti obviously back in charge, with a script from Gary Dauberman. The film’s release is currently slated for Sept. 6, 2019. It will see an adult version of the Loser’s Club honoring the pact they made as children, to return if the evil of “It” ever resurfaced in their hometown of Derry, Maine. Suffice to say, that evil is coming back, and coming back strong. Will the adult Losers be strong enough to face it once again, without the pure faith of children?